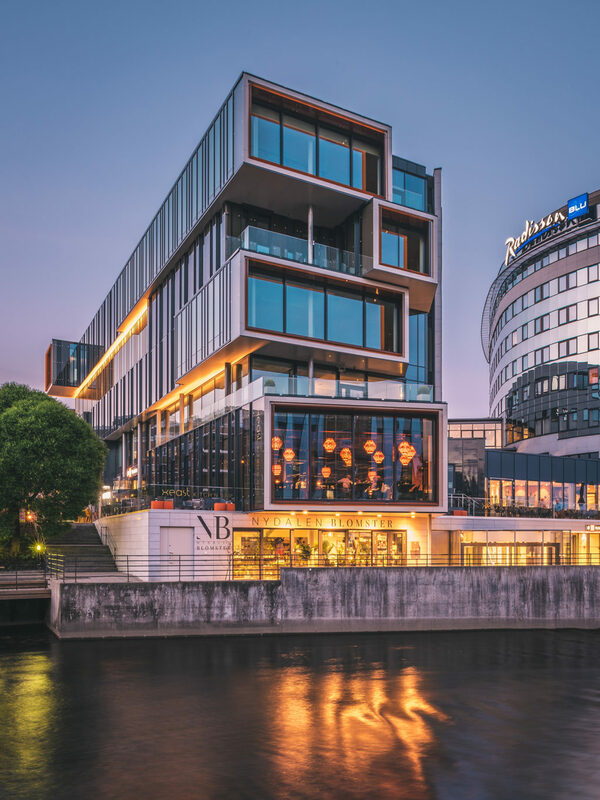 Torgbygget or “The Building on the Square” is situated along the banks of the Akerselva river in the Nydalen district of Oslo; a former light industrial area that is quickly developing into a vibrant part of the city. 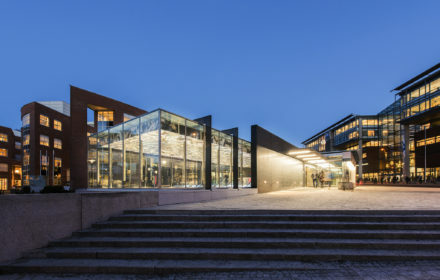 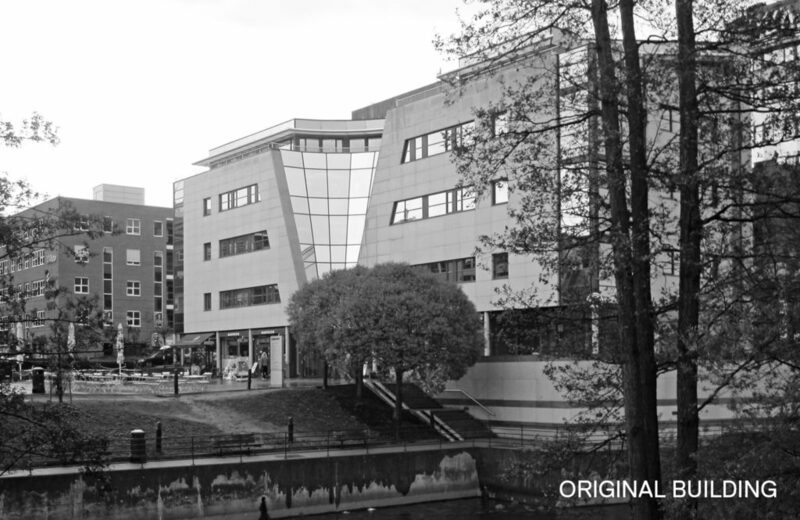 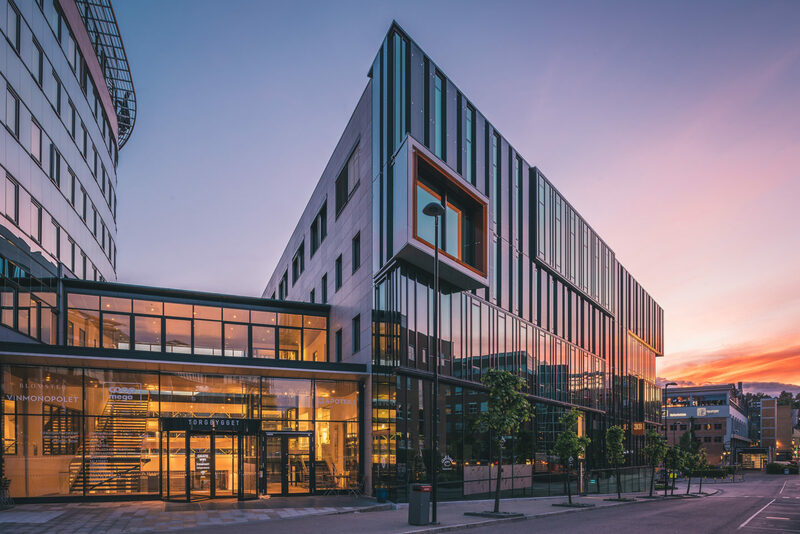 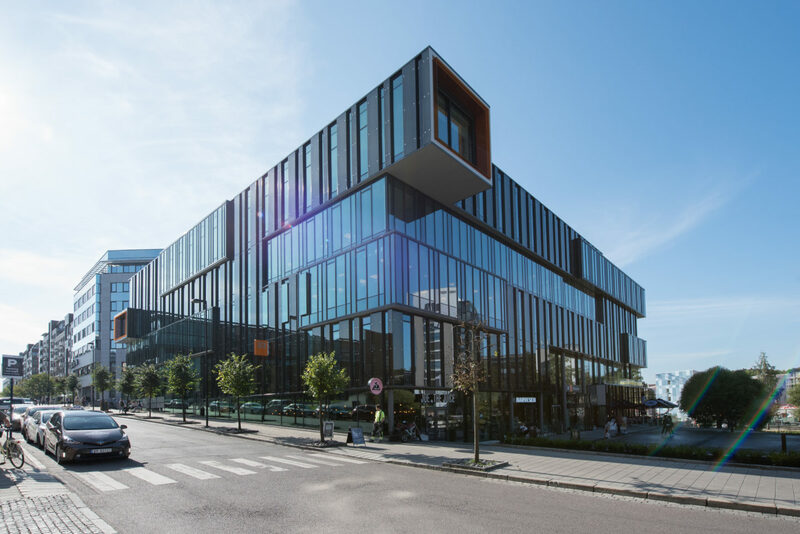 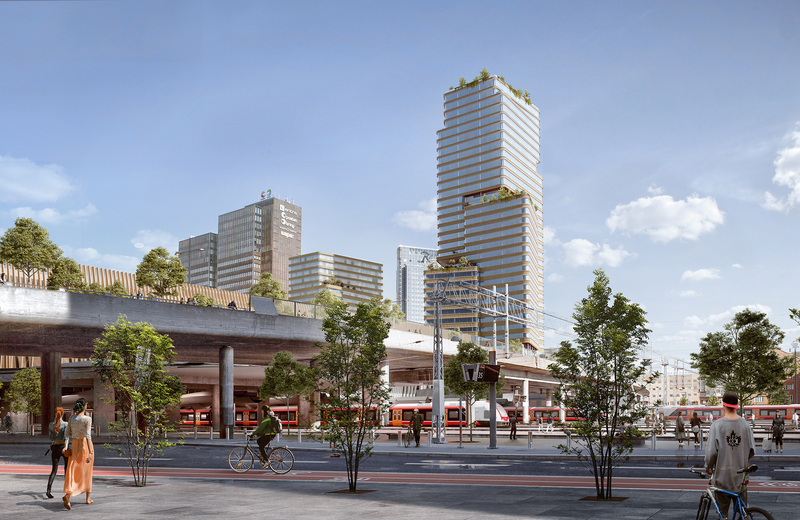 The mixed use building consists of offices, boutiques, restaurants, cafes and a dental and health clinic, and sits over the west entrance to the Nydalen Metro Station. 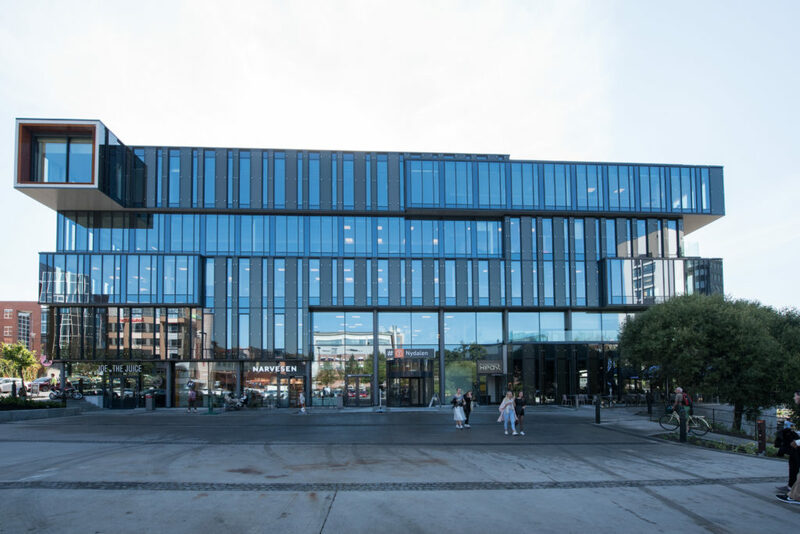 The building has been refurbished with a new facade and interior finishes, as well as improvements to the metro station entrance. 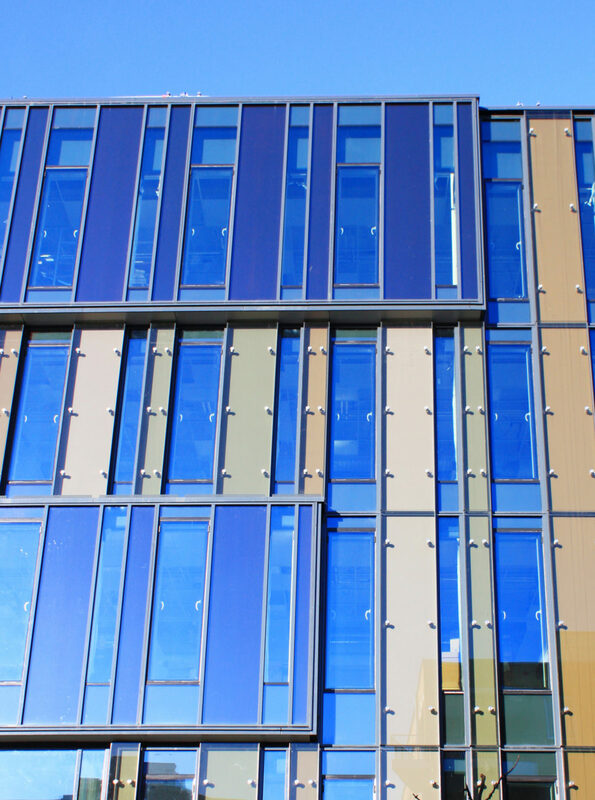 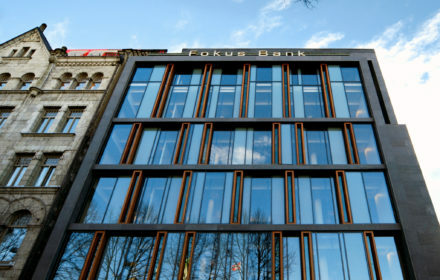 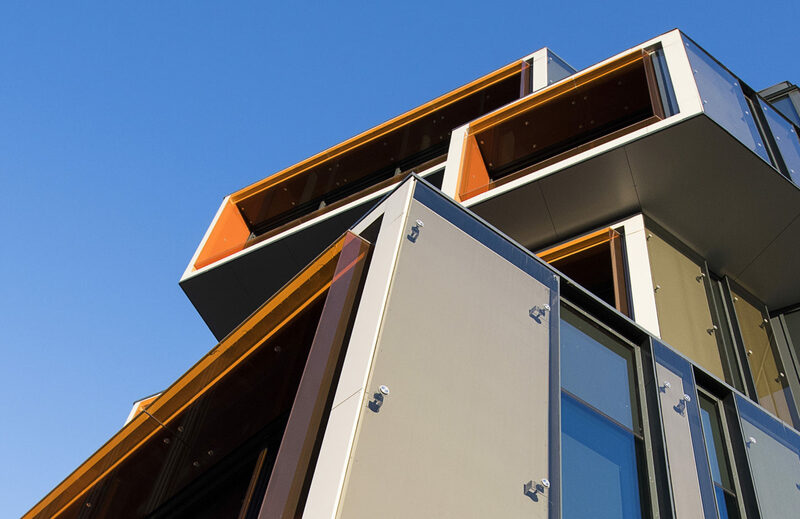 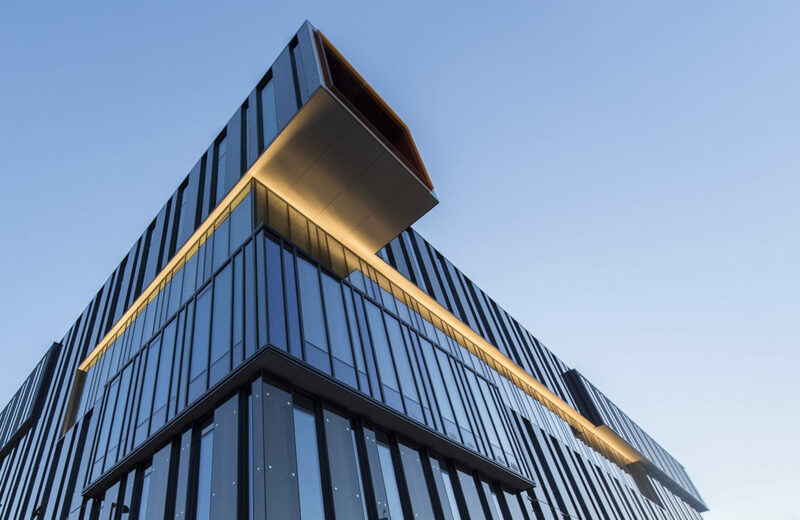 The new facade has a strong vertical rhythm composed of windows alternating in relief with insulated elements clad in smoked glass and a coloured backing. 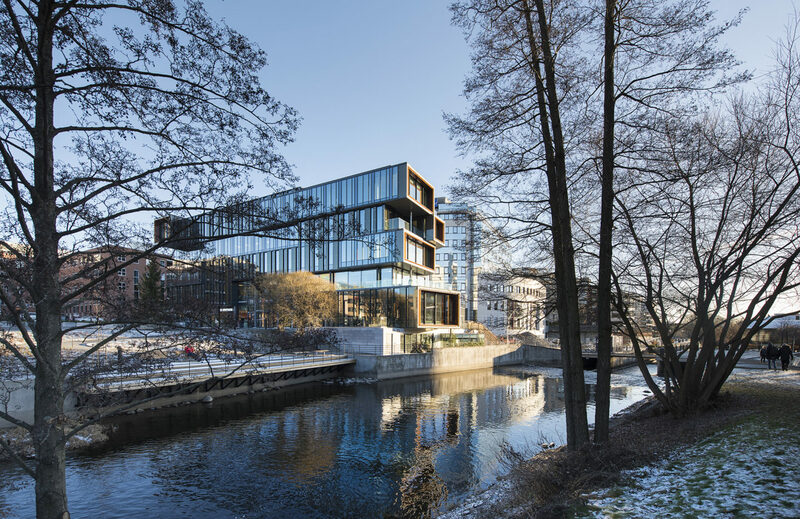 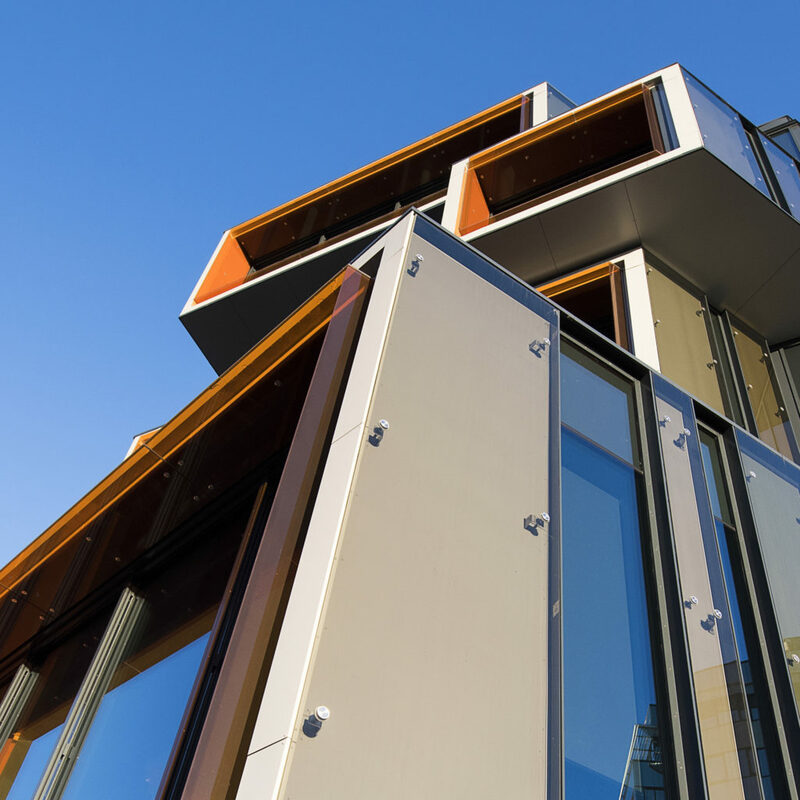 The west facade is punctuated by a series of extruded boxes, outlined in orange glass, and cantilevering over the river. 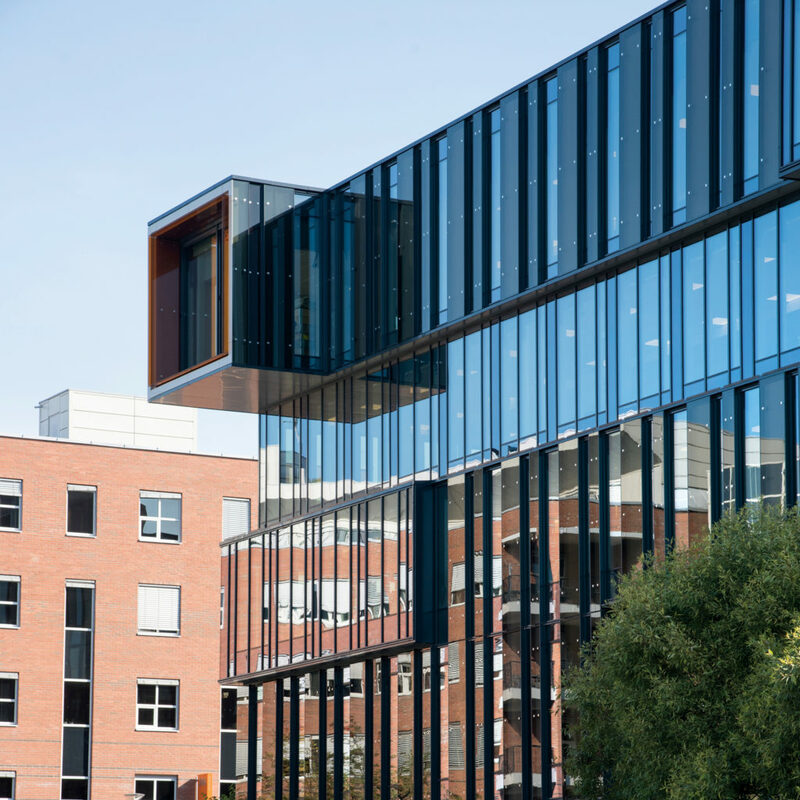 The project focuses on sustainable design and has achieved a BREEAM very good rating.